I Can Connect to WiFi, but Don’t Have Internet. What to Do? WiFi is everyone’s preferred wireless connection to the Internet – it’s fast, it’s not metered and almost all modern devices support it. Unfortunately, many times when you connect to a WiFi hotspot, there’s no working Internet connection. This can have multiple causes; usually it’s enough to restart your WiFi router. But what if that doesn’t work or you’re using a public WiFi hotspot you cannot simply restart? Is your WiFi connected but with no Internet access? Read below to see how to fix this in a matter of minutes! Understanding the Issue: WiFi Connected, but no Internet Access – Is My Router the Problem? As with any networking issues, there are 2 places to look: the networking equipment (router) and the device having the issue (computer, smartphone, tablet, etc.). Just try connecting to the same WiFi hotspot with another device and see if that works. If it does, go to the next article section. Restart your router – it’s actually been recommended by the FBI recently. Reinitializing the connection to your ISP might help you get Internet access when connected to WiFi. 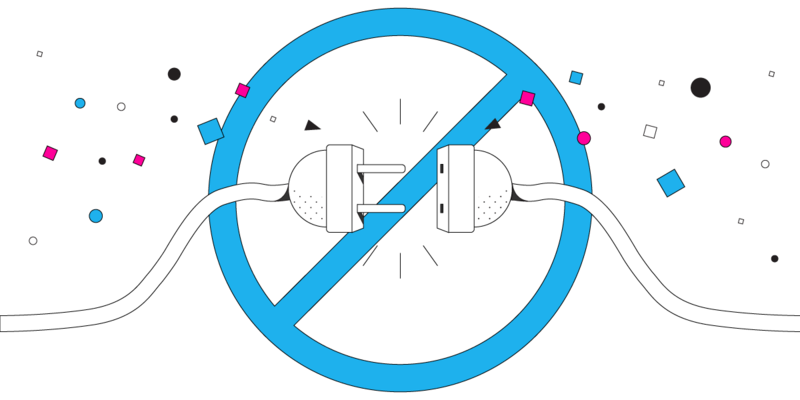 Check the WAN Internet cable that plugs into the router – that might be damaged or… not plugged in. Find another public WiFi hotspot you can connect to – you may want to move around a little bit, if possible. WiFi Connected but No Internet – Is It My Device? limited time Internet sessions on the public WiFi networks – if the session expires, you might lose connectivity until you re-authenticate. getting spotty signal strength due to WiFi hotspots being placed in remote areas. your device connecting to (other) public WiFi hotspots that might not be functional. Whether it’s the networking equipment or your device, there’s one simple fix for when you’re WiFi connected but not Internet: Speedify! Speedify is a smart app that offers patent-pending channel bonding technology. It securely combines 2 or more Internet connections at the same time for their total speed and reliability. Get Speedify on your laptop or smartphone. It’s available for computers and mobile devices running Windows, macOS, Android and iOS. Enable all available connections. WiFi and cellular can be combined on your mobile device; for your computer you can toss in other connection types as well, such as wired Ethernet, USB adapters for multiple WiFi networks, etc. Don’t worry – you can set data caps from within the Speedify app, so you won’t exceed your cellular plan and pay extra. Enjoy faster, more reliable Internet. Speedify will automatically combine all the connections it detects to give you a faster and dependable Internet connection. WiFi Connected but No Internet – Fixed! What about Speed and Security? By being able to use multiple Internet connections at the same time with Speedify, if your device connects to a WiFi hotspot with no Internet functionality, Speedify will keep you online by using the other connection. So, your Spotify will not stop, your Skype business call will not jitter and your video stream will still be online. 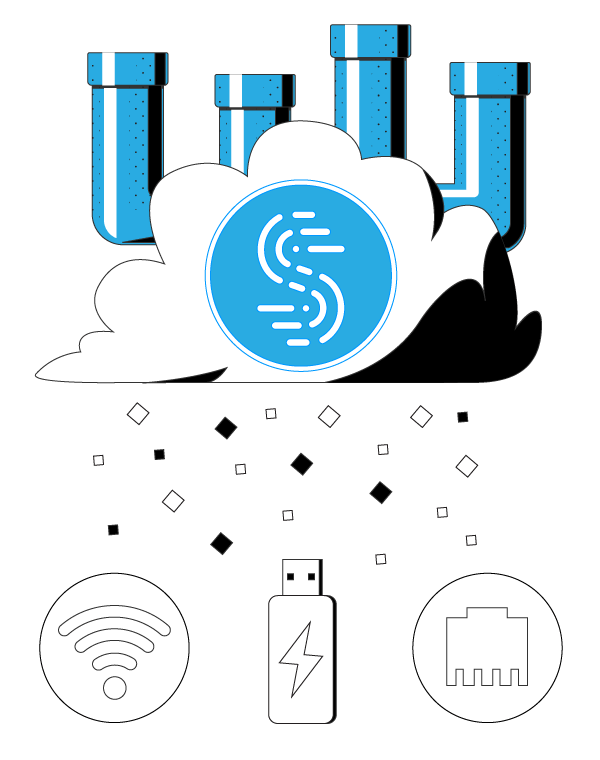 Speedify is more than just a powerful Internet connections manager, it is also a fast mobile VPN. When you use Speedify to optimize your WiFi experience, you are also getting fast, reliable, and secure data encryption. Speedify protects you against fake routers, snooping hackers, and other cyber threats without sacrificing the speed you demand out of your Internet connections. Get started with Speedify today (no strings attached, no email sign-up necessary, no logging of data!) to make sure you always have Internet connectivity on any WiFi hotspots.